When you want to visit Munnar, but, not sure about where to stay or how to choose the�best resort in Munnar�that meets your needs, these tips may help you find a resort that best suits your budgets and tastes. The history of Munnar involves the British, who discovered it. And then, it involves tea which Britishers brought along with them and discovered that can it can be aptly grown in the climate of Munnar. 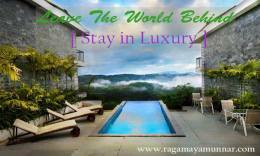 The best�luxury hotels in Munnar�has a verdant view of green slopped mountains from the glass windows of the room. If possible when you make the reservation, just confirm in advance with your tour operator about the view of the tea gardens in Munnar from your room. One of the best vacation mornings in Kerala starts with the refreshing view of tea gardens in Munnar which is unique and can be experienced only in a few places. There are various sites like tripadvisor.in, makemytrip.com, booking.com and hotels.com that provides detailed reviews and tips from the guests who have already stayed in resorts in Munnar. Go through the reviews and tips that will help you shortlist some of the best�luxury resorts in Munnar�as what may be best for someone else may not be the best for you. There are several premium resorts in Munnar and luxury hotels in Munnar that best suits guests from an ornithologist to an arachnologist to a honeymoon couple to a family. In the vicinity of Munnar, there are several places of interest to the serious researcher, genuine naturalist, and the wandering tourist. But to enjoy Munnar to the maximum, you need to stay at the right resort that will offer you the maximum for your fixed budget. Along with the views of the tea garden, also consider the distance from the Munnar town as the traveling through the winding hills in Munnar is very difficult and tiring. Consider the distance from Munnar town when you shortlist luxury family resorts in Munnar. A stay in any luxury resorts in Munnar should provide recreation and entertainment to the holiday seekers and honeymoon couples. The quality of the customer service in the resort is what differentiates the best from the rest. Only the resorts that can offer quality service to customers will offer you a great vacation experience. The last consideration is your own budget. If you cannot afford the�top luxury resort in Munnar, look for more affordable alternatives that are just as exotic and offer the same activities after all the sights offered are same.